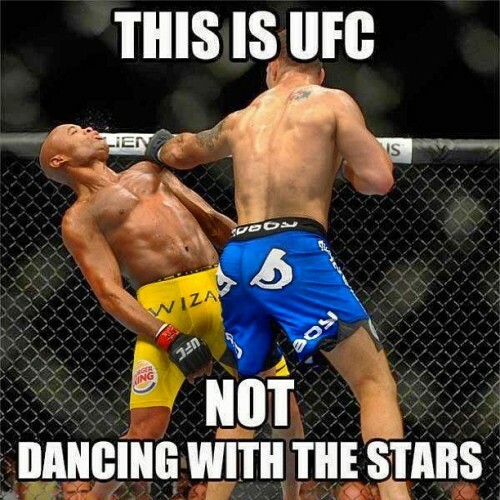 Don’t follow UFC? That’s okay. 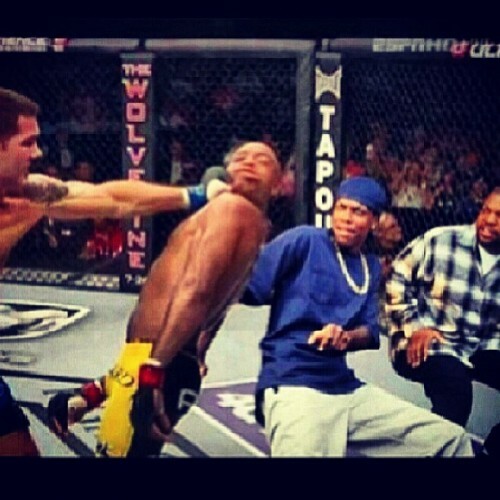 I’ll get you all caught up with just one (long) sentence: on Saturday night, Anderson Silva, probably the greatest MMA fighter of all time, pound for pound, was knocked out by Chris Weideman...immediately after taunting him. 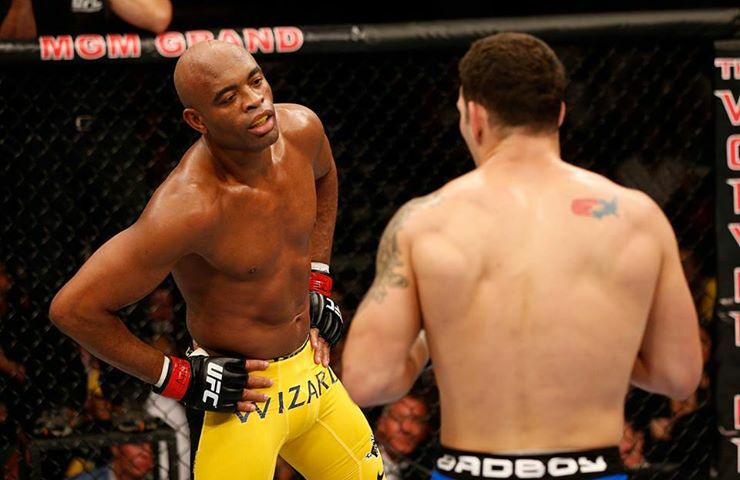 The shocking manner in which Silva got laid out by Weidman didn’t just end Silva’s impressive 16-bout winning streak, or his equally impressive 10-bout title defense streak. 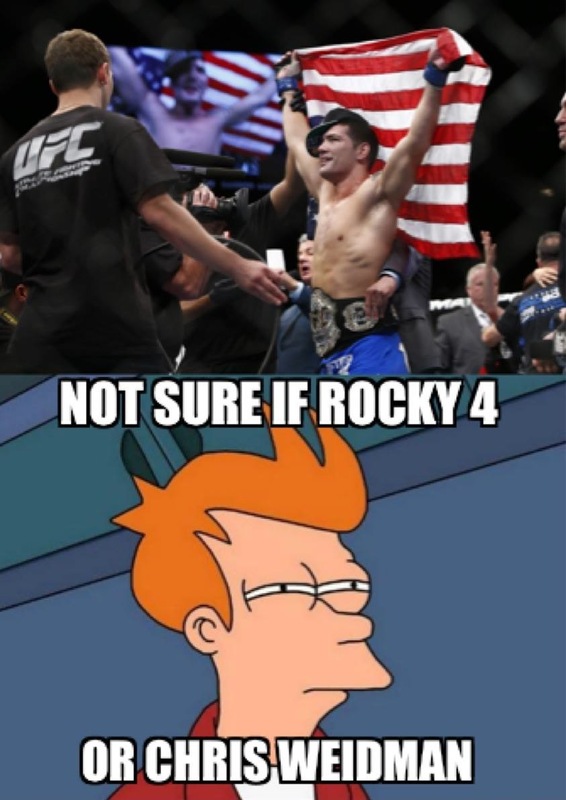 It also called into question the guy’s character and, therefore, his MMA legacy. Oh, and it was kind of hilarious. 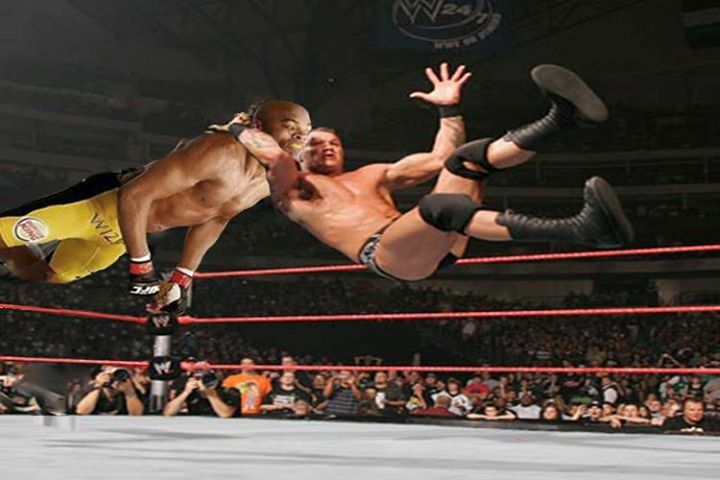 And, as is always the case when hilarious things happen in the world of sports, the internet didn’t waste any time churning out memes and images commemorating this particular moment in sports history. What’s a meme, you ask? I’ll let you look up the full definition on Wikipedia on your own. 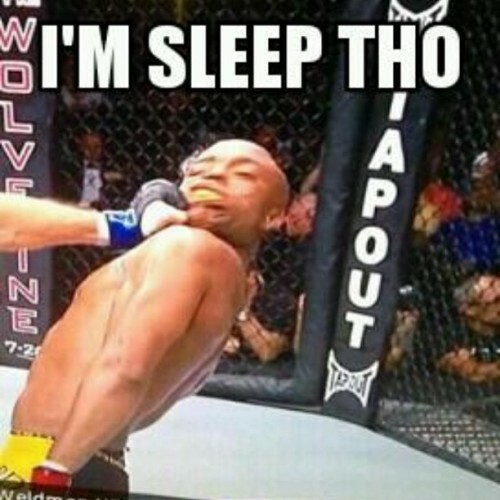 For now, let’s just say they’re series of funny pictures with a recurring theme. 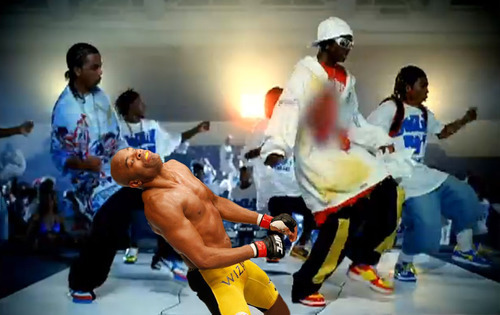 And in this case, the recurring theme is the great Anderson Silva getting his lights punched out. 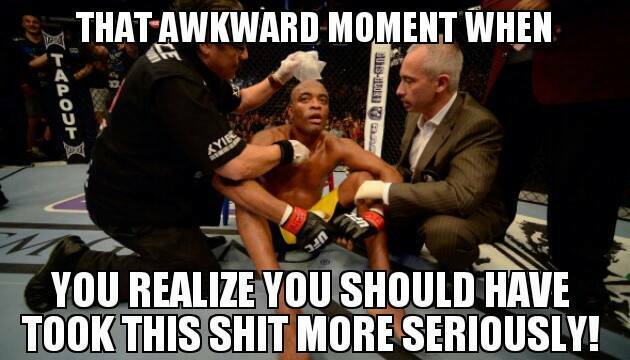 Missed the big UFC 162 title fight? Well, here's the most important part. 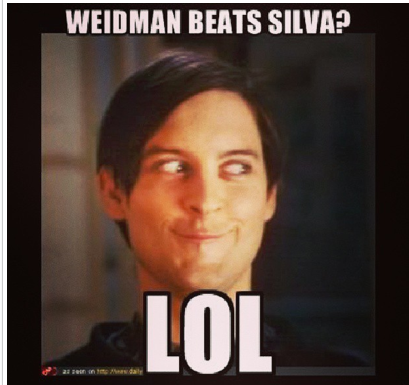 As you can see, the great Silva very badly misjudged Chris Weidman's reach. 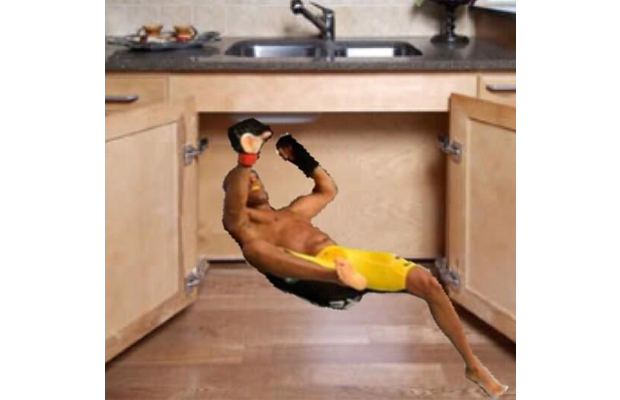 And here is a nice closeup shot of the moment Silva lost his UFC Middleweight Championship belt. Ouch. 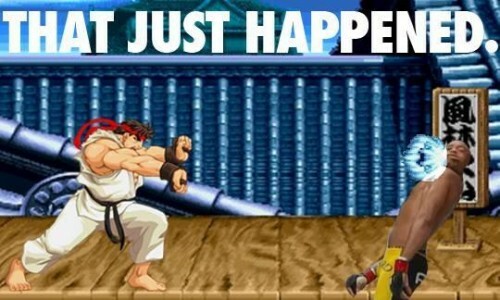 If you know memes, then this one is familiar to you. If you're not familiar, you can read about it here. 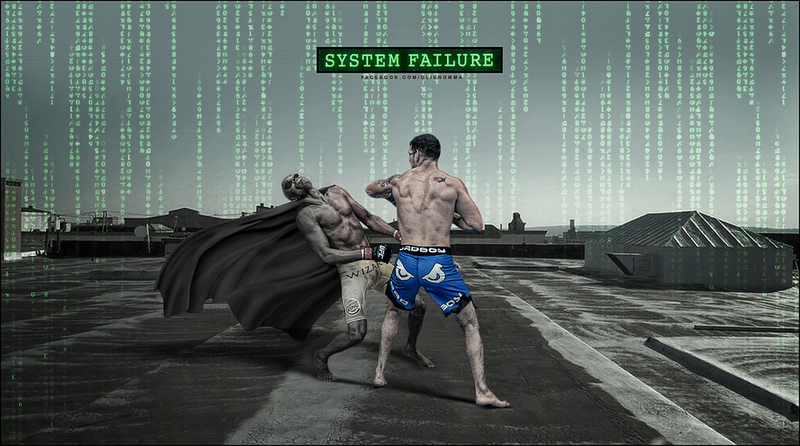 Unfortunately, it did not take any magical powers for Weidman to KO Silva. It just took a little too much hubris and a good stiff punch to the jaw. 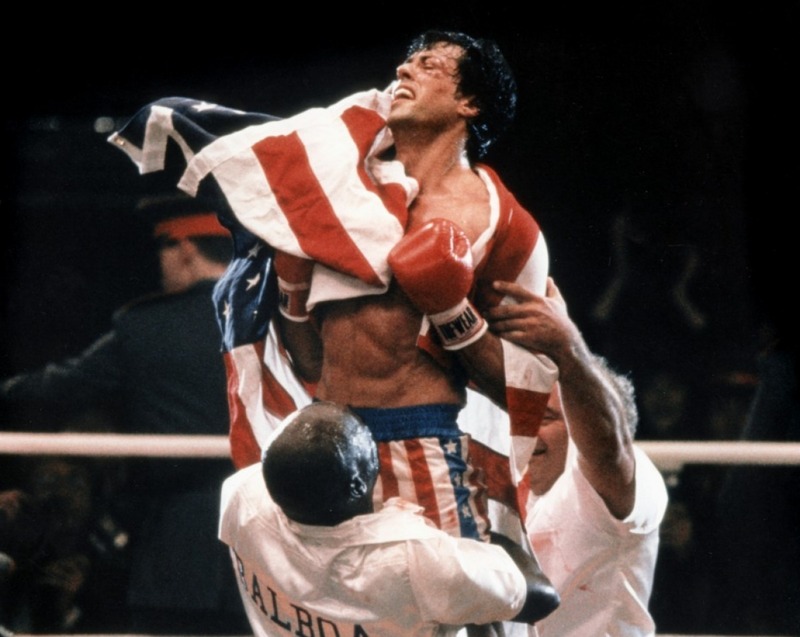 Seriously, Weidman must be a fan of Rocky IV, right? 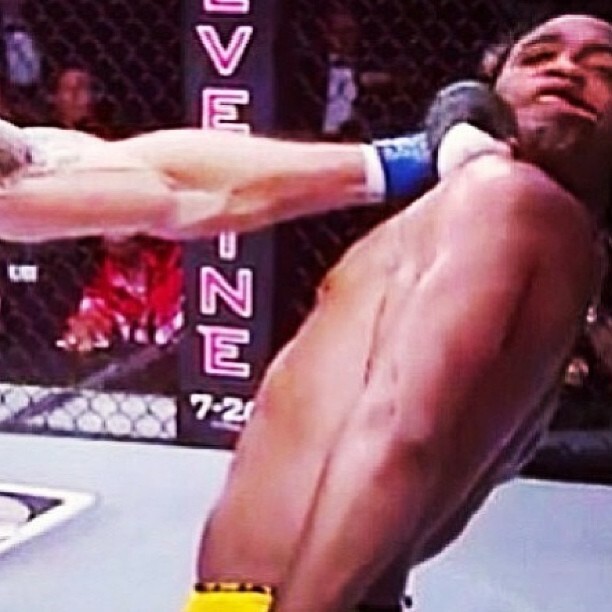 Brazil won the Confederations Cup, but they're MMA hero got embarrassed on Saturday. The Lord givieth, and the Lord taketh away. 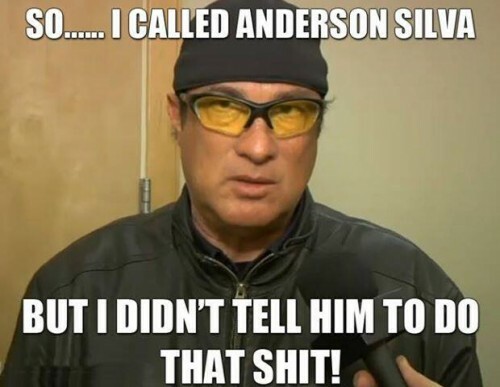 Hey, remember when Steven Seagal took the credit for Anderson Silva's victory of Chael Sonnen? Yeah, that was hilarious. It's not very catchy for a catch phrase, but it is accurate. 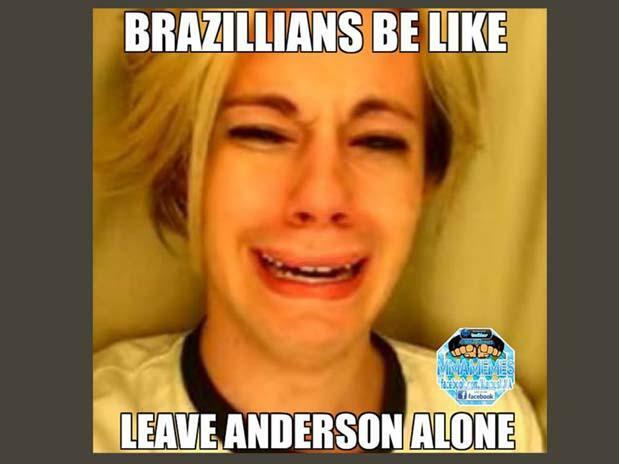 How low can Anderson go? Pretty much all the way down, really. 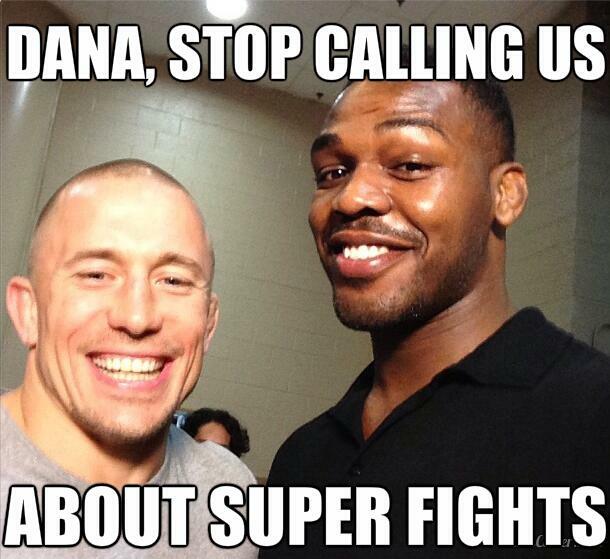 Georges St-Pierre and Jon Jones probably aren't going too eager to engage Silva in a UFC superfight now. 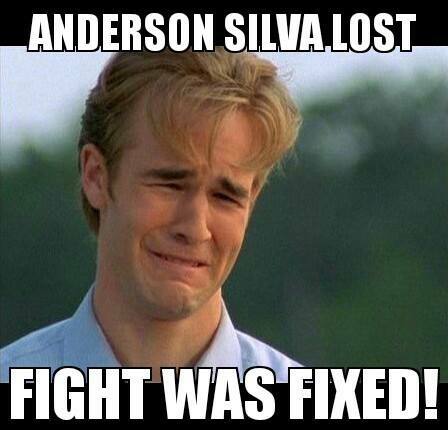 Silva fans were pretty bummed out on Saturday night, but Emo Peter Parker thought it was hilarious. 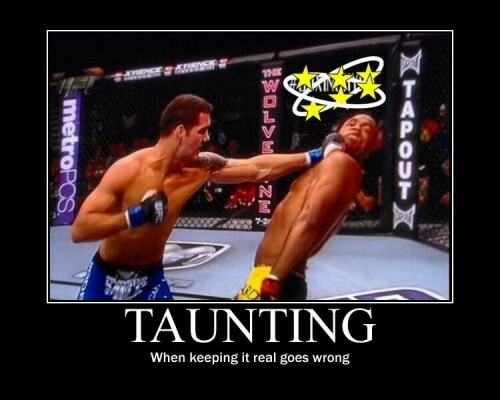 Seriously, there are so many examples of guys getting knocked the [email protected]#& out after taunting their opponent, you have to wonder why anyone would be so stupid as to even think about it? Once again, it's funny 'cause it's true. 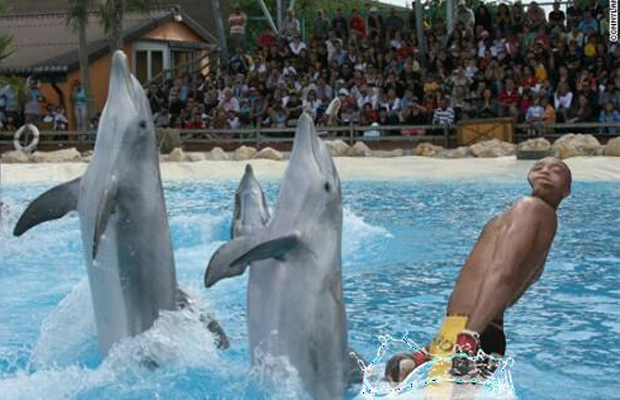 And here is KO'd Anderson Silva performing with the dolphins at Sea World. 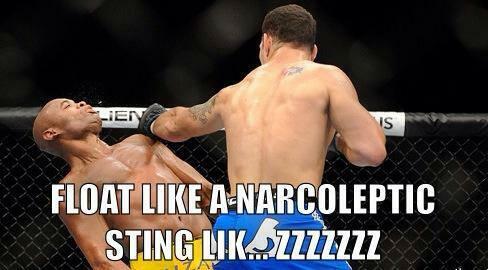 Some guys just can't handle the UFC. Dawson is one of them. 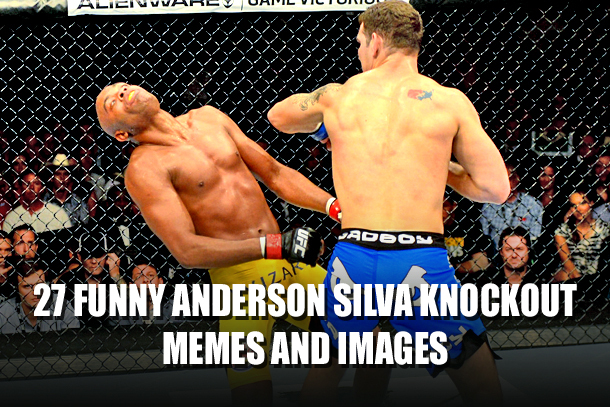 Before Saturday night, the comparison of the shifty Silva to the bullet-dodging Neo in The Matrix was apt. Now? Not so much. 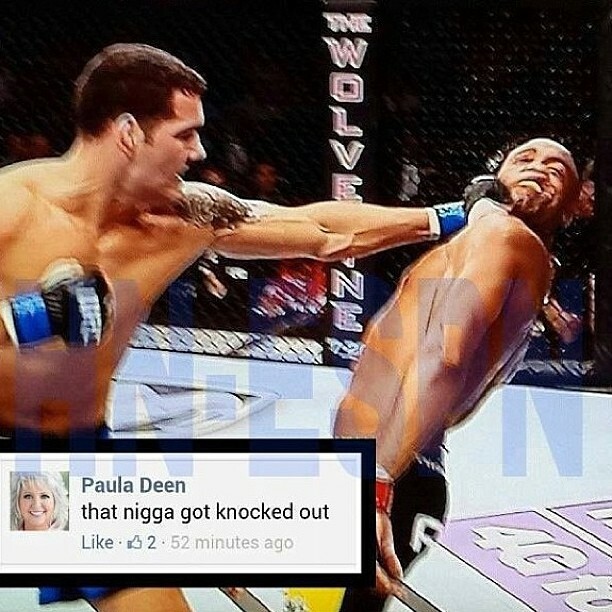 Yeah, let's bring disgraced chef Paula Deen and her racial slur controversy into this. Why not? Yep, pretty much. Could also have been captioned: THAT AWKWARD MOMENT WHEN YOU REALIZE YOU ARE 38 YEARS OLD. The great Homer Simpson. Always so poignant. 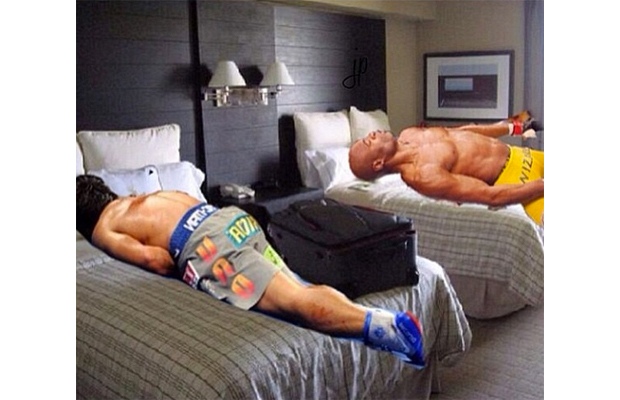 Looks like Anderson Silva is joining Manny Pacquiao for a little siesta. And this here is part two. 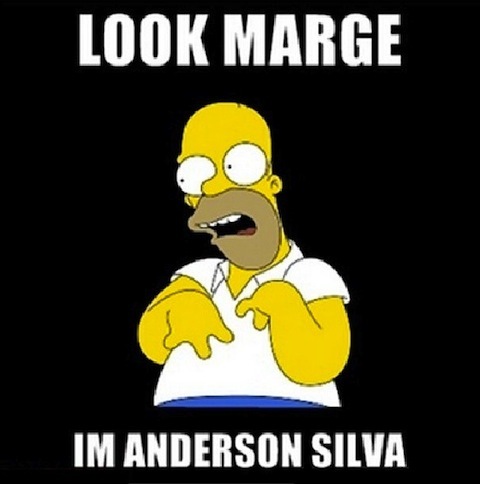 Silva is like, WTF just happened? 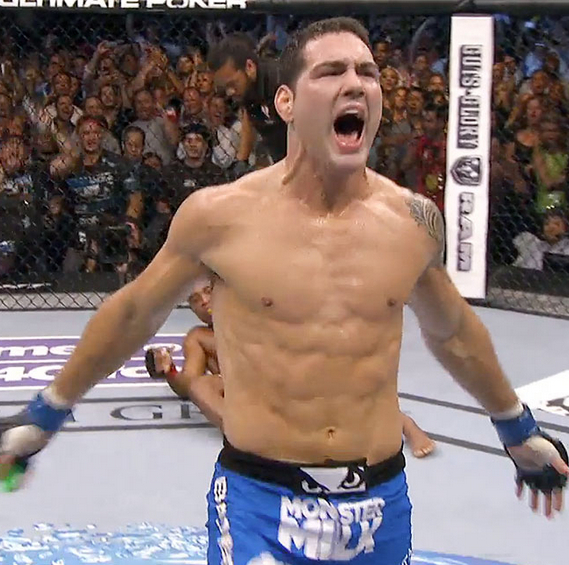 Weidman is saying, come taunt me again, [email protected]#$&r! 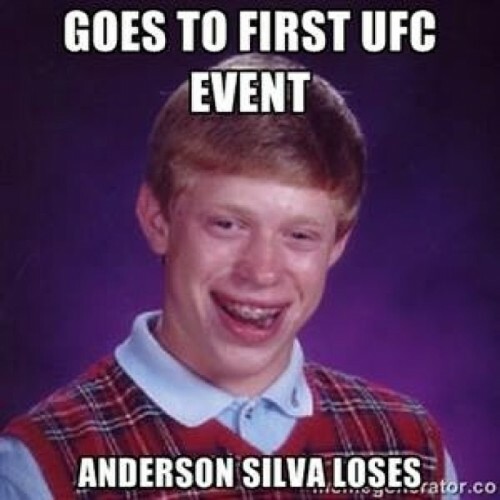 When in doubt, just go with reliable old Bad Luck Brian. He always hits the nail on the head.